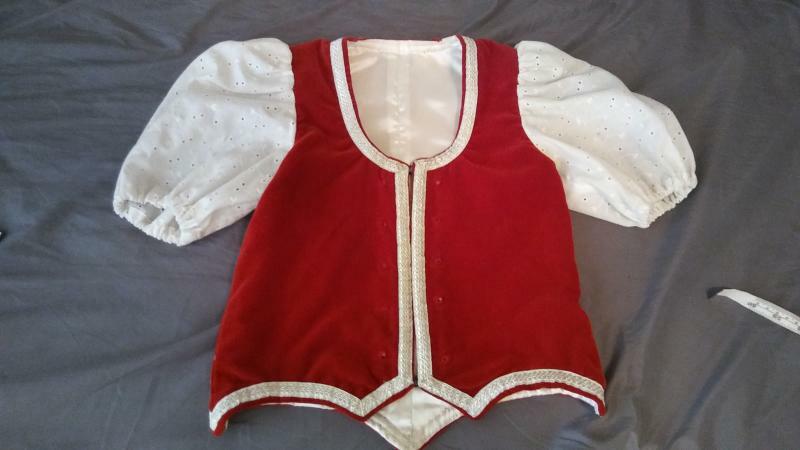 dance.net - Gently Used Child's Red Vest (10248180) - Read article: Ballet, Jazz, Modern, Hip Hop, Tap, Irish, Disco, Twirling, Cheer: Photos, Chat, Games, Jobs, Events! Small childs red vest with sleeves no buttons for $10.00. Buyer pays shipping from US. Seller accepts PayPal.